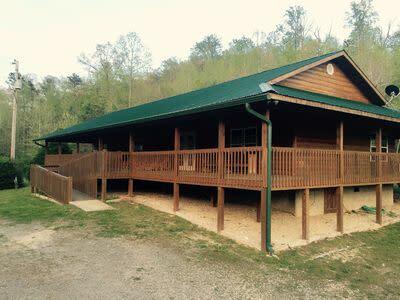 Located along the Piney Knob Creek, Piney Knob Lodge is a 4 bedroom 4 bathroom home that provides plenty of room and amenities for a great family vacation. It has a covered porch with furniture for outside leisure. There is an open floor plan with a full kitchen, dining, and living room complete with fireplace. For additional entertainment, the Piney Knob Lodge has a game table. You can also enjoy the hot tub or fishing in the catch and release stocked pond. 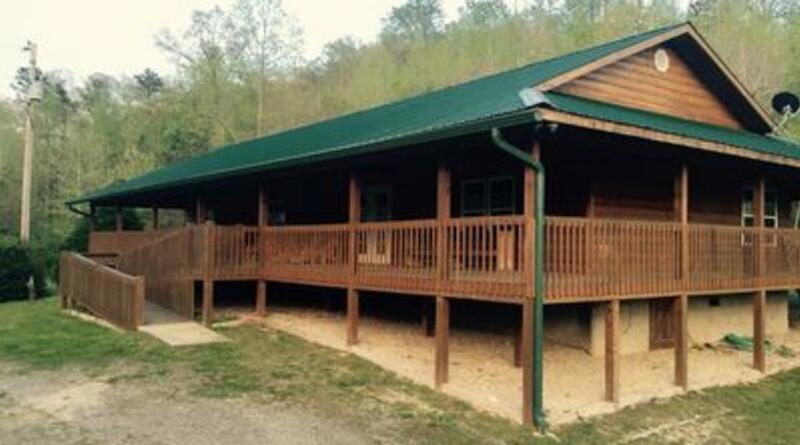 You may also rent the Piney Knob Cabin together with the lodge for larger groups.